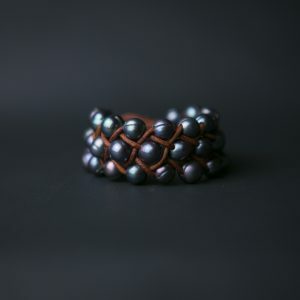 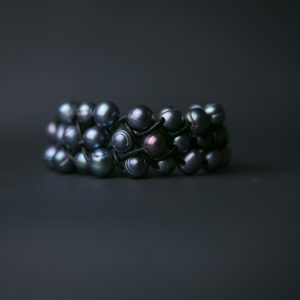 Three rows of beautiful baroque grey pearls are woven together to create a cuff effect. 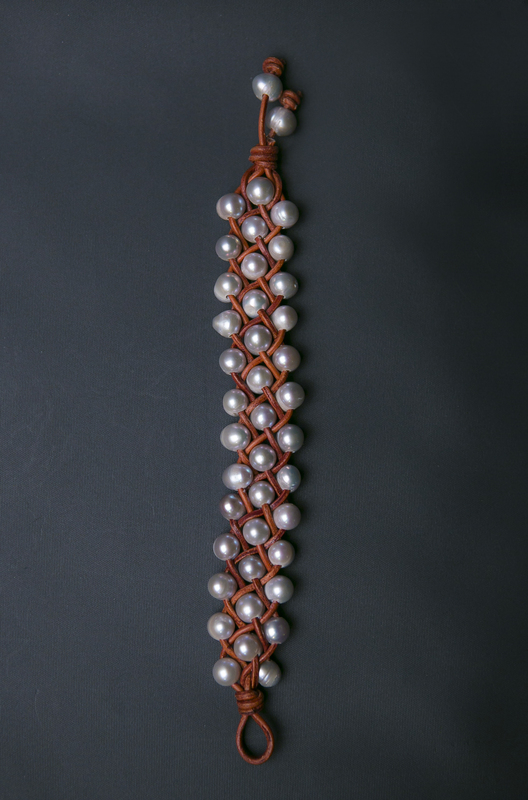 Each pearl is hand-drilled, strung on 2mm leather and finished with a pearl and leather loop closure. 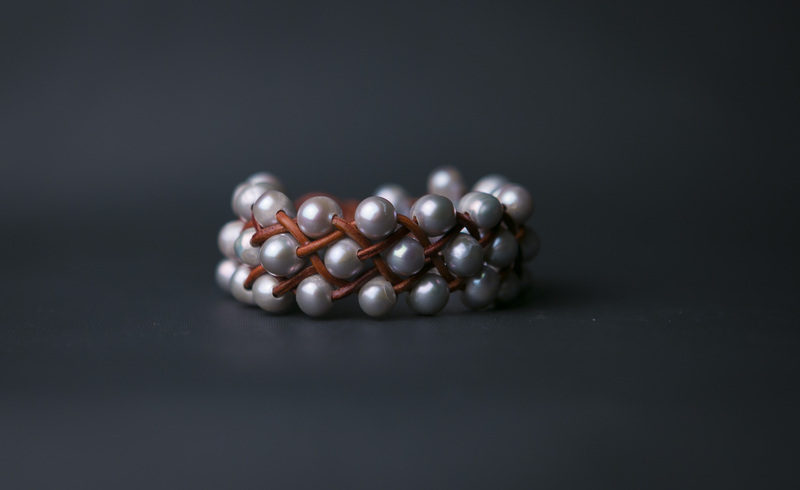 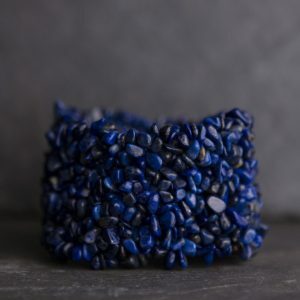 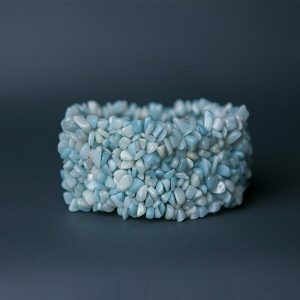 This is a great piece to stack with your other pearls or wear alone. 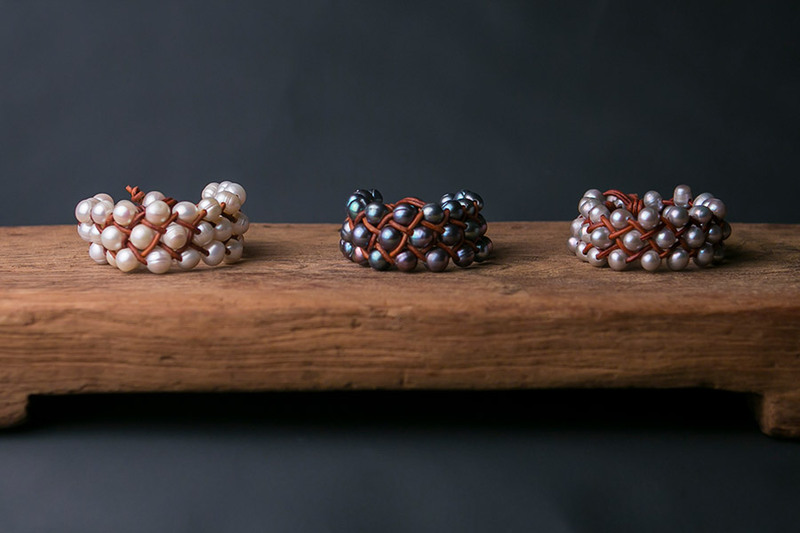 It goes with everything; with jeans, at the beach or with your little black dress.